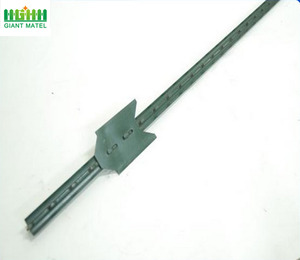 All recycled cheap corten steel used garden fence t posts can be customized in different size, material and craft. 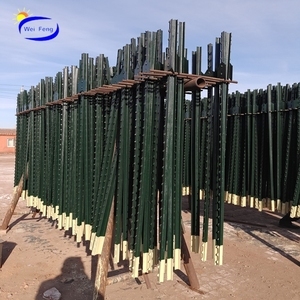 We can make corten steel garden fence t posts based on the pictures or the designs the customers send. 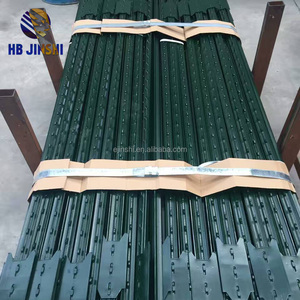 Recycled cheap corten steel used garden fence t posts for sale Contact us if you want to know further details of our COR-TEN steel fencing t posts decoration products. Q: How long is your delivery time9 A: Generally it is10-15 days if the goods are in stock. or it is 15-25 days if the goods are not in stock, it is according to quantity. Q: What is your terms of payment 9 A: 30% T/T in advance ,balance before shippment. 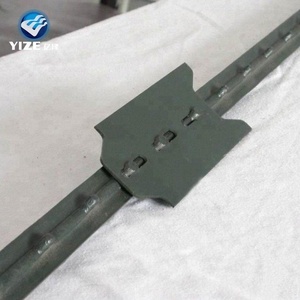 Packaging & Shipping MORE PACKINGS TO MEET YOUR DEMANDS FOR WHOLESALE CHEAP CHINA PRODUCT T STEEL FENCE POST FARM FENCE FOR SALE. WE PRODUCE AND SUPPLY PRODUCTS WITH VARIOUS SPECIFICATIONS ACCORDING TO REQUIREMENTS OF CUSTOMERS. WE WILL CONTINUE TO PRACTICE WIN-WIN PROMISE TO KEEP GOOD AND LONG TERMS COOPERATION WITH PARTNERS FOREVER. We have standard production and complete quality control system to ensure high quality products to meet our customer's needs. We have standard production and complete quality control system to ensure high quality products to meet our customer's needs. Q:Are you a manufacturer9 A: Yes,we have been in providing the professional products in this field for 28 years. T post type : Punched, studded, with spade or without spade. 1. Q: Can you offer free sample9 A: Yes, but usually the customer need to pay the freight. 6. Q: How about the delivery time9 A: Usually within 15- 20days, customized order may need longer time. 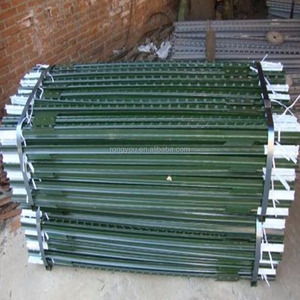 Used for security fencing of beach farming, fish farming and salt farm. 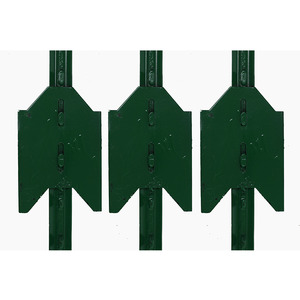 Used for security of forestry and forestry source protection. Isolation and protecting husbandry and water sources. 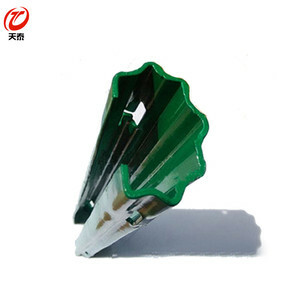 cheap 1.33lb galvanized Green painted Studded T post fence post for sale Studded T post Specifications Material:high quality Q235 steel rail and billet steel Surface treatment: black bitumen, painted, non-painted, hot-dipped galvanized Length:5ft,6ft,7ft. 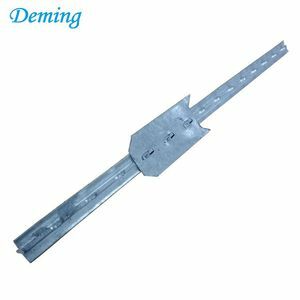 3. high quality material and competitive price Our company information: We are the professional manufacturer of fence post products. Based on our excellent quality products, considerate service and reasonable price, our products enjoy high reputation at home and abroad. Normal Weight : light duty 0.95lb/f, 1.1lb/f, regular duty 1.25lb /f, heavy duty 1.33lb/f . Length: 5&rsquo;,6&rsquo;,7&rsquo;,8&rsquo;,9&rsquo;. 1,Qingshui Street,Qiaoxi District,Shijiazhuang,Hebei,China. Alibaba.com offers 252,538 t posts for sale products. About 2% of these are fencing, trellis & gates, 1% are other roadway products. A wide variety of t posts for sale options are available to you, such as free samples, paid samples. 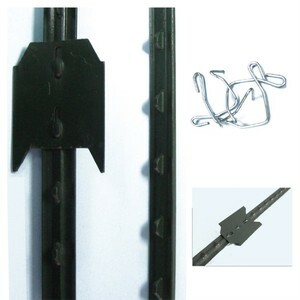 There are 252,538 t posts for sale suppliers, mainly located in Asia. The top supplying country is China (Mainland), which supply 100% of t posts for sale respectively. 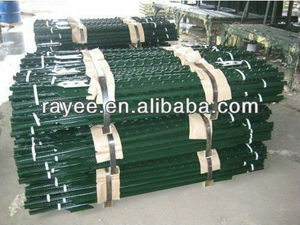 T posts for sale products are most popular in North America, Western Europe, and Northern Europe. You can ensure product safety by selecting from certified suppliers, including 16,840 with Other, 10,097 with ISO9001, and 1,903 with ISO14001 certification.